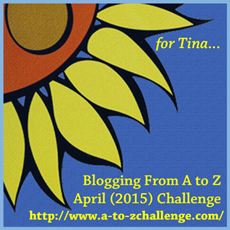 I realised I never did this for the previous times I took part and completed the A to Z in April Challenge so now while I’m getting ready to sign up for the 2016 edition, I thought I’d be organised and finally put this all together in a Masterpost. When I did the challenge in 2015 I had a theme which was women in film. Each day I talked about an actress or director and shared my favourite films of theirs and why I like them a lot. I really enjoyed showing a spotlight on women of different ages and backgrounds who work in the film industry and while I haven’t really figured out what my theme with be for 2016, I think it’ll feature awesome women. So without further ado, here are all 26 posts (plus the sign up and wrap up post) I wrote for the A to Z in April Blogging Challenge 2015.